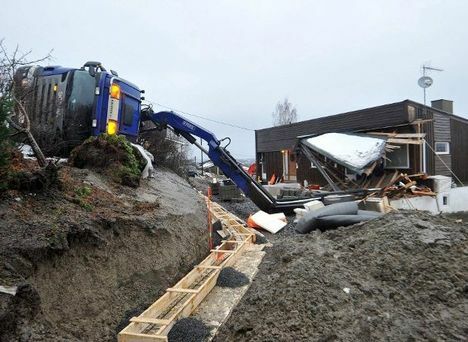 A loader crane went over in the small town of Rælingen, to the east of Oslo, Norway last week. The cause? – poor outrigger set up. 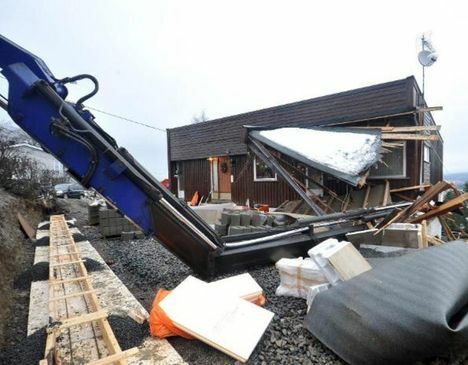 The crane was standing on a small road above a residential home in the town and was lifting a pallet of blocks into the yard when the asphalt road surface punched though causing the truck/crane to lose stability. 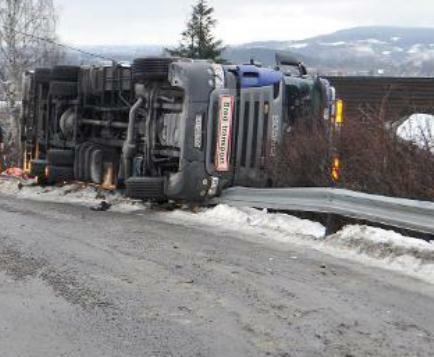 Thankfully no one was injured. 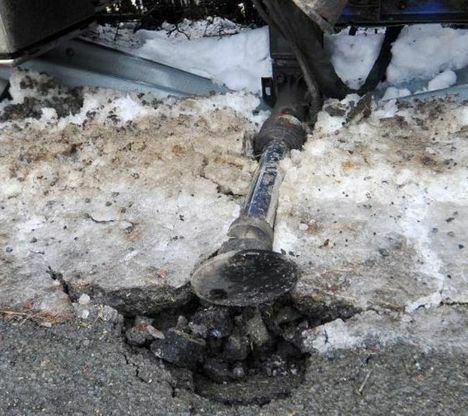 The clear cause of the incident is the lack of any outrigger mats under the jack pads, thus the loads were too concentrated for what is a weak roadside surface. The crane’s boom caused significant damage to an extension and terrace that had been constructed over the past two weeks, the blocks were required to help complete the building work.